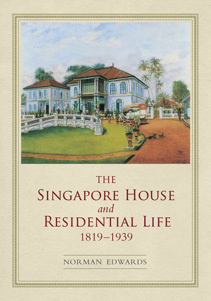 Setting the scene for this newly presented edition of The Singapore House & Residential Life 1819–1939, Edwards addresses the house’s unique nature in the context of its colonial past. Architecture, the house plan, landscape, societal norms, recreation and more are all presented in a book where the past resonates on every page. Thirty years on, the book still provides an invaluable introduction to the history of architecture in the city-state.